Nov. 21, 3pm - Pick up holiday catering orders from Fire House 15. 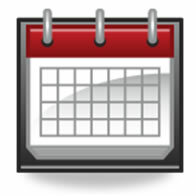 Dec. 6, 6:30pm - Participant Graduation at the Richmond Police Academy *Please note the change in time! Jan. 21, 6-8pm - MLK candlelight walk and reception. Worship starts at 6pm at 5th Street Baptist followed by a walk at 7 and a reception at Boaz & Ruth at 7:15. We at Boaz & Ruth enter this holiday season abounding in blessings and thankfulness. We are grateful for so much and wish to share our joy with you in this special issue of our Joy Report. Each person that enters our doors enters our hearts and we welcome you all to join our family. Whether you are able to give of your time or resources, we ask that you consider us in your year-end giving and that you continue to pray for God to pour our his blessings on us as we restore lives and beauty to the Highland Park community. Thank you! We asked what our participants and graduates are thankful for this year and put together a short video to share with you. Many are looking forward to spending the holidays with their families they have recently reconnected with. Others are thankful for their journey and for being able to provide for their children. Watch this touching video here. We are so blessed to have such a dedicated group of program participants. We see their lives change as they consistently make positive decisions and complete personal milestones. 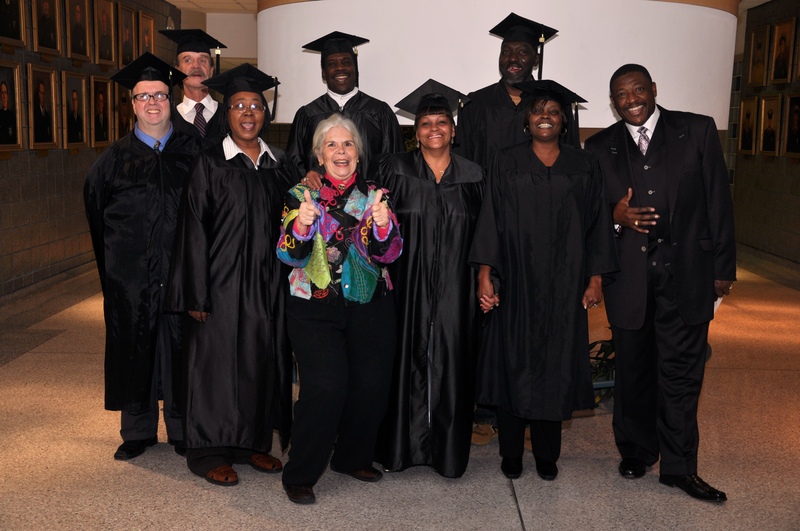 On Thursday, December 6 the Boaz & Ruth family will gather for the graduation of the 9th class of Apprentices. The event will be held at The Richmond Police Academy (1202 West Graham Road) and will include a reception immediately following the ceremony. We welcome you to celebrate their accomplishments and encourage you to attend! More information is available here. If you have ever visited us at Boaz & Ruth, chances are you've met one of our Graduate Leaders. These special individuals continue on a specialized curriculum designed to foster intense leadership and hands on training. We now offer the following courses: Construction Training with a certificate, Leadership Development, Project Management, and Facilitator Training. Our graduate leaders are Kelvin Coley, Ray Hunt, Fred Lloyd, Bea Robinson, Jorge Roche, Donna Scaturro, Nikeea Terry, and Phillip Williams. We are grateful to their committment to Boaz & Ruth and the stability and leadership they provide. We are so very thankful for our dedicated, hard-working staff, interns, & volunteers. Staff members include: Sharon Brager, Cynthia Brown, Ron Brown, Ruth Cosby, Suellen Leftwich, Paul Morgan, Martha Rollins, Megan Rollins, Tony Scott, and Amanda Winger. Our dedicated interns and volunteers are truly part of our family and we could not thrive without them. We are honored they choose to spend their time with us and we pray that they will be blessed for the using of their time and talents. Learn more about our staff, interns, and volunteers. "Freedom is not a place but a journey best taken in the company of others." 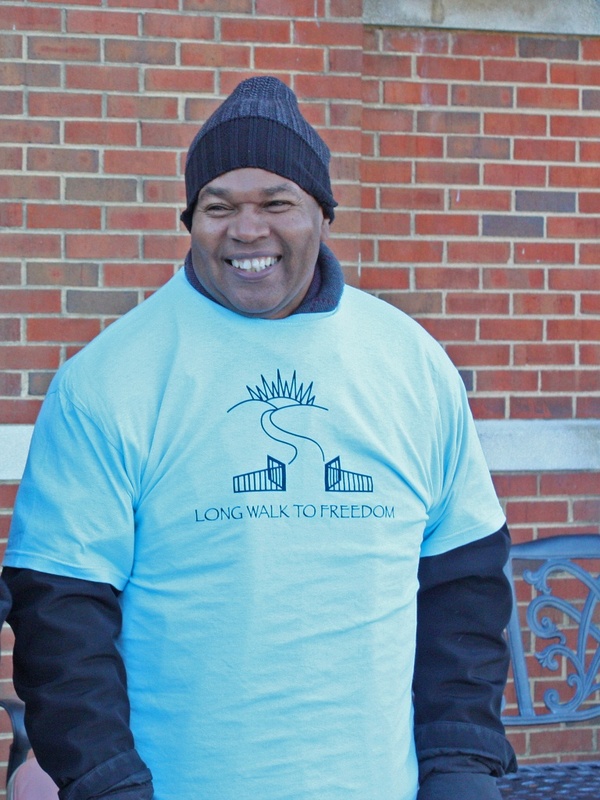 Boaz & Ruth hosted the sixth annual Long Walk to Freedom this past Saturday. The walk raised awareness and funds for the many programs supporting effective reentry in Richmond. We began at the Richmond City Jail and celebrated the end of the walk at Freedom House's Conrad Center. Walkers signed a petition asking the Governor to change the VA Law to restore rights to felons when they get out of prison. Thank you to all who walked or sponsored someone to walk. Special thanks to Jo White, Bea Robinson, Tony Scott and Bonnie Dowdy for organizing the event. Freedom was celebrated by all! Visit our Facebook page to view photos of the event here. Boaz & Ruth assisted the Red Cross in helping families displaced by a burst pipe in a nearby apartment complex. 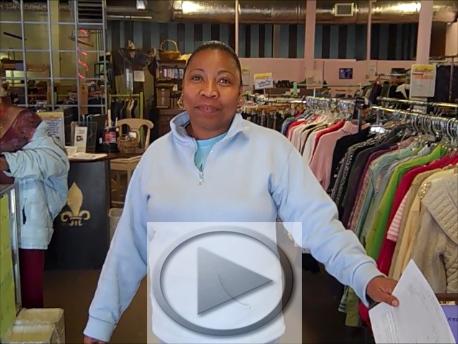 Being a positive presence in our community is at the forefront of our mission and we are so thankful we could help. Read the article here. The Fire House 15 Café is lauded by residents of Highland Park and patrons alike, and exemplifies a successful socially conscious business. Read more as loyal patrons, McDonald Riddick and Beverly Claiborne, give their account of the good food and friends found at Fire House 15 Café here. Boaz & Ruth partners with many community organizations and churches. One long-standing partner is Seventh Street Memorial Baptist Church. 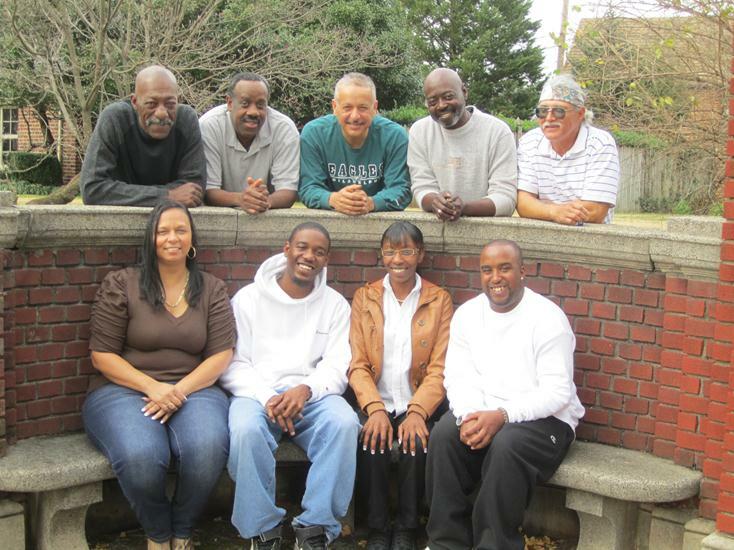 Throughout the years they have utilized our facilities for choir practice, bible studies and deacon meetings. They also support our mission by intentionally hiring our social enterprises to maintain their lawn care. Over the past years Pastor Micah's wife, CC, has taught community computer classes in our computer lab in evenings. Seventh Street is an example of how we can work together within our community. Thank you to Seventh Street and to our many other church and community partners! Is your cup already overflowing with provision and gifts? If you are already abundantly blessed, consider asking your friends and relatives to show their love this holiday season by making a donation in honor of you to Boaz & Ruth through inLieu. Founded by Boaz & Ruth volunteer and former Bonner Scholar, Geoff Weathersby, inLieugiving.com is great tool for someone looking to spread Christmas cheer in a new and innovative way. Learn more about how you can fuel the mission of Boaz & Ruth this holiday season here. As you may know Martha Rollins will be retiring at the end of this year. We are so thankful for her ten years of service with us. We are also thankful for our Governing Board, led by new Board Chair Charlie Summers, for stepping up through this leadership transition. The board has chosen a strong search committee, have identified the process, and have recently announced the position opening. View the job description here. Learn more about our Governing Board members here. In its 2nd year, the Ampersand Board is a group of volunteers of the next generation dedicated to focus on 3 areas: support for our social enterprises; fund development through events and special activities such as selling christmas ornaments; community nurturing such as giving Christmas gifts to all participants. We thank the following leaders: Brian Cannon - Social Enterprise Support Committee; Carli Nelson - Community Outreach; Erin Gill - Development; Lauren Neal - Secretary; Tunstall Willis, Chair. Tunstall , reflects, "It is incredibly hard to believe that The Ampersand Board is embarking on its second year at Boaz & Ruth. Our inaugural year was filled with much excitement; from the angel tree, to private fundraising get-togethers, to our gala. Last year proved to be a busy year. The 2012-2013 year is going to be fantastic with new events in the making and fun community-driven opportunities." The Ampersand Board is always looking to expand its membership. If you are interested please contact Tunstall. Learn more about our Ampersand Board members here. Boaz & Ruth continues to grow! This past spring we established a Foundation Board to focus on raising operating, capital, and endowment funds, chaired by long time supporter, Joe Bartholomew. Founding members include: Sally Bagley, Kevin Barr, Brian Cannon, Trevor Cox, Todd Goldsmith, Annie Kasper, Corell Moore, MaryCatherine Savage, Tanner Smith, Tunstall Willis, and Sandy Yarbrough. We look forward to their leadership as they build funds to propel the mission of Boaz & Ruth into the next decade of service. Learn more about our Foundation Board members here. Board member, Omega Wilson, completed her doctorate in Educational Leadership and Policy Studies at Virginia Tech. She states, "As far as my plans are concerned, I plan on continuing my stay at Hermitage as principal until the Lord leads and guides me into another direction. I love the faculty and staff at Hermitage and I'm proud to be a part of the Panther Family!" Congratulations, Omega! Learn more about what our board and staff are doing here. We chose our name, Boaz & Ruth, to remind us of the transforming power of human relationships. 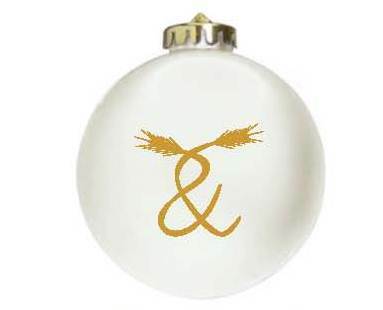 We believe that everyone is a Boaz with gifts and a Ruth with needs making the most important word in our name the "and" represented on this ornament as the ampersand symbol. The gift of this ornament helps support the mission of Boaz & Ruth - an organization that serves as a bridge building between races, economic classes and geographic sections. Please consider purchasing ornaments for your friends, coworkers and loved ones. Each ornament is $10 and available for purchase at Fire House 15. Contact Erin Gill for more information.